There’s always something new to learn about food! Mississippi Market’s education program offers a variety of classes, events, and tours about delicious foods, local farmers, co-ops, healthy living, and more. Everyone has a right to eat and cook good, healthful food, which is why we offer a variety of free and low-cost cooking classes. We also partner with a variety of local food and wellness experts from our community to host classes on everything from Japanese cooking to brewing your own kombucha to cooking on a budget. Space is limited, so register early. 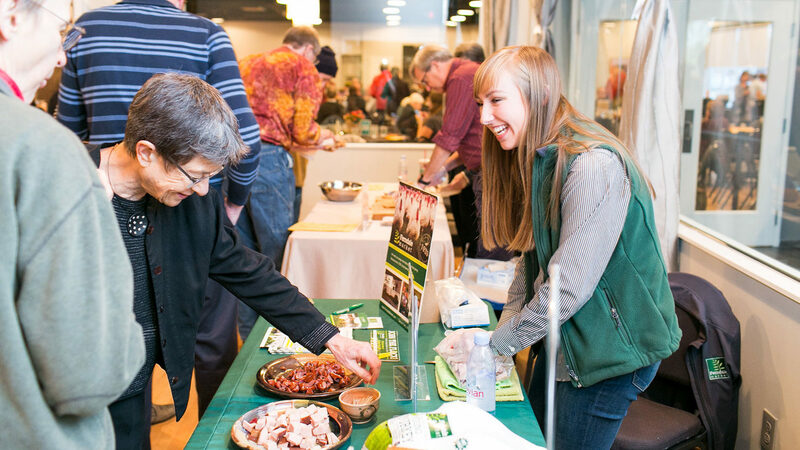 A number of larger co-op events are also held throughout the year, including member meetings, board meetings, local farmer meet and greets, food tastings, and panel discussions. Classes are held at both our East 7th and West 7th store locations. Before heading out for your class, please double check the store location to assure you go to the correct place. Class registrations are refundable up to 72 hours, or 3 days prior, to the event. If the class needs to be cancelled for any reason, you will receive a full refund and email notification at least 2 days before the scheduled class date. Opinions expressed by class instructors are solely those of instructors and are not necessarily representative of Mississippi Market. Nutritional and health information are provided for informational purposes only and are not meant as a substitute for consultation with a licensed health care provider.